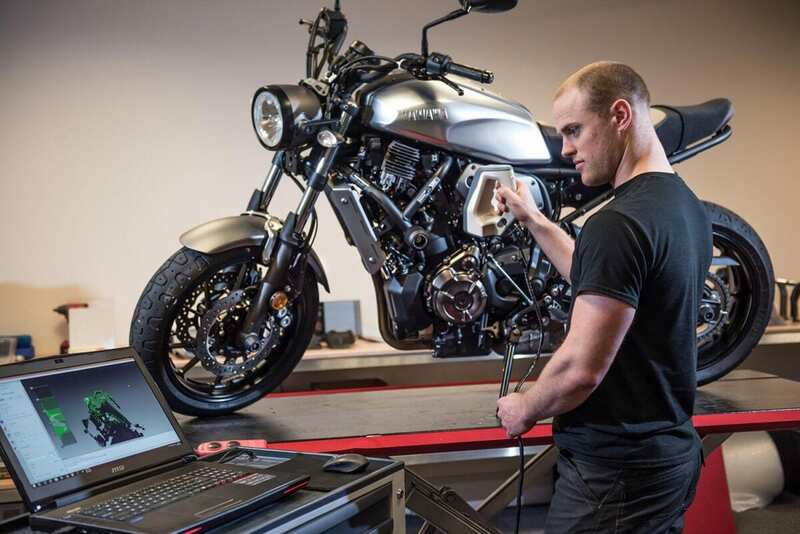 Mike Evans scans the XSR, ready for 3D modelling. MSL’s Yard Built project continues with 3D modelling at Evotech-Performance. For such a retro-styled bike, the XSR is swamped with technology as it sits on the ramp at Evotech-Performance in Alford, Lincolnshire. Mike Evans is carefully passing a 3D scanner over the Yamaha to create a digital model that can be manipulated on computer. The kit looks at geometry, texture and colour by taking thousands of images – it’ll easily see the detail in an M3 bolt, and as Mike scanned the XSR’s engine, even the head gasket’s edge was perfectly rendered. 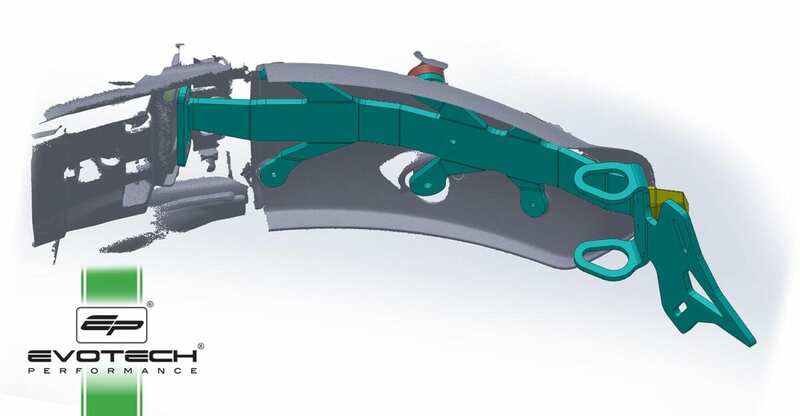 I want this project to result in a custom bike that anybody could build – that means no one-off parts, and no string-pulling within the industry. If I do need something fabricating, I want it to be easily accessible to everyone. One of the first mods most people make would be some crash protection and a tail-tidy to lose some of that excess plastic at the rear. 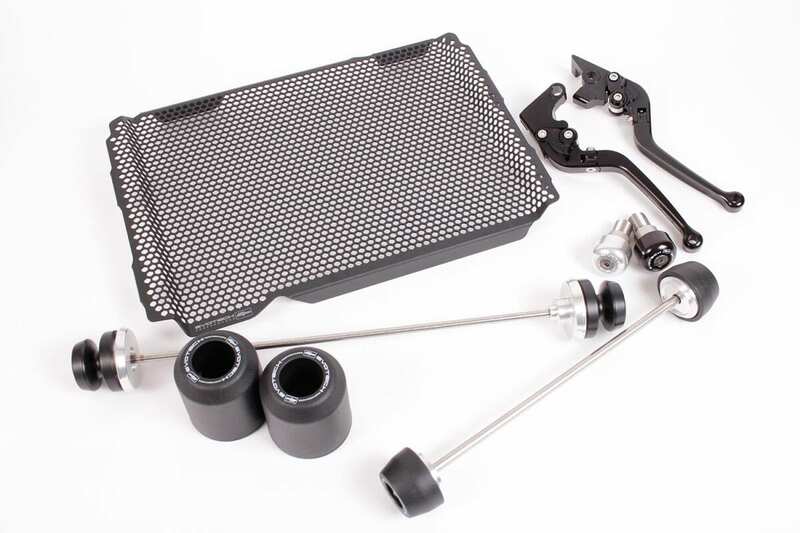 As I had one of the first XSRs in the country, Evotech-Performance was eager to get it on the bench and start making parts for the general market. Some of the parts ready to fit to Cada Día. The scans form the templates for designing parts like the bar-end weights, radiator guard, crash bobbins and a tail-tidy. 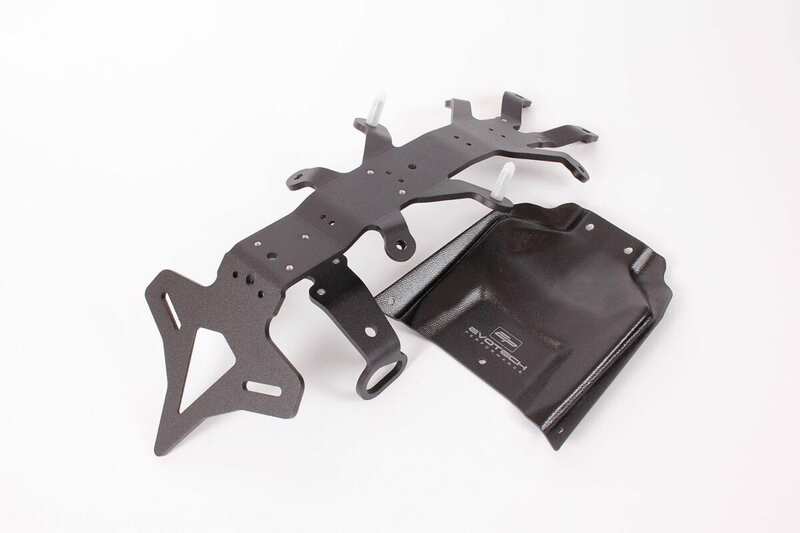 A rapid-prototype machine will ‘print’ models of the parts, and within a few weeks, finished products will be available for sale on Evotech-Performance’s website (www.evotech-performance.com). And it’ll all be made here in the UK. The XSR700 is in many ways similar to the MT-07 – same engine, same swingarm, and same suspension. The frame is slightly different, not least in that the sub-frame is removable, but for the front and rear axle bobbins, frame protectors and bar-end weights, Evotech-Performance’s current range fits perfectly. Using a textured, injection moulded nylon for the bobbins means they blend well with the black frame of the XSR. Evotech’s powder-coated, machined aluminium XSR tail tidy is going to massively improve the looks of the bike. Here the computer-generated model is laid over the 3D scan of my bike. Chris and Dan Rack are the men who since the late eighties have been designing and making motorcycle products. In fact, the Alford industrial unit is home to two businesses – Evotech-Performance and Drury-Precision Engineering (www.drury-precision.co.uk). 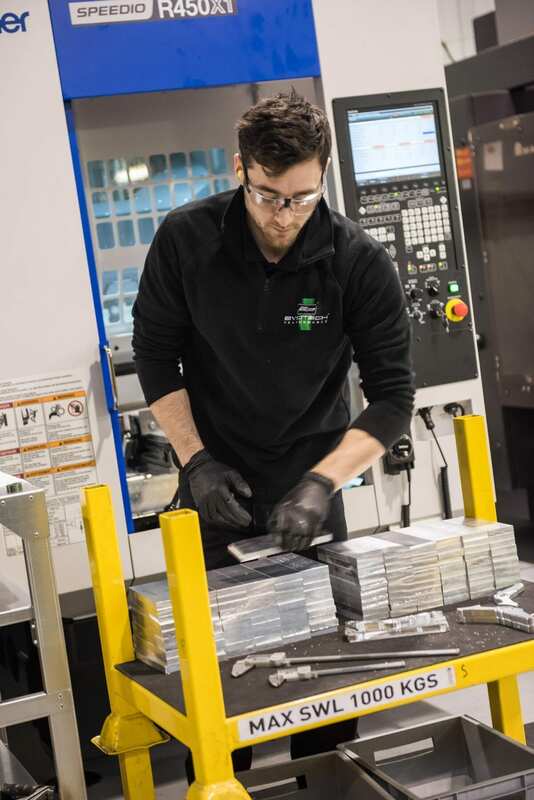 The staff are the same, with Dan and Chris – and relatively new recruit Mike – designing each product for everything from Evotech-Performance’s bike parts to Drury’s gas turbine components, specialist motorhome chassis, high-performance racing brake rotors and whatever else is required. 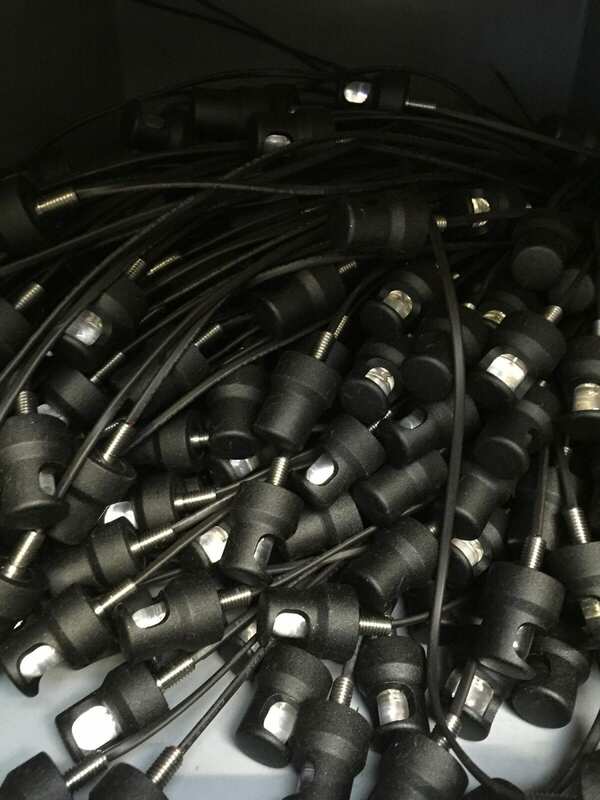 “We make products for the medical, aerospace, travel and power industries,” said Dan. “Not to mention the automotive side. Last year, the Milwaukee Yamaha team and all the Padgetts race bikes had Evotech-Performance radiator guards. 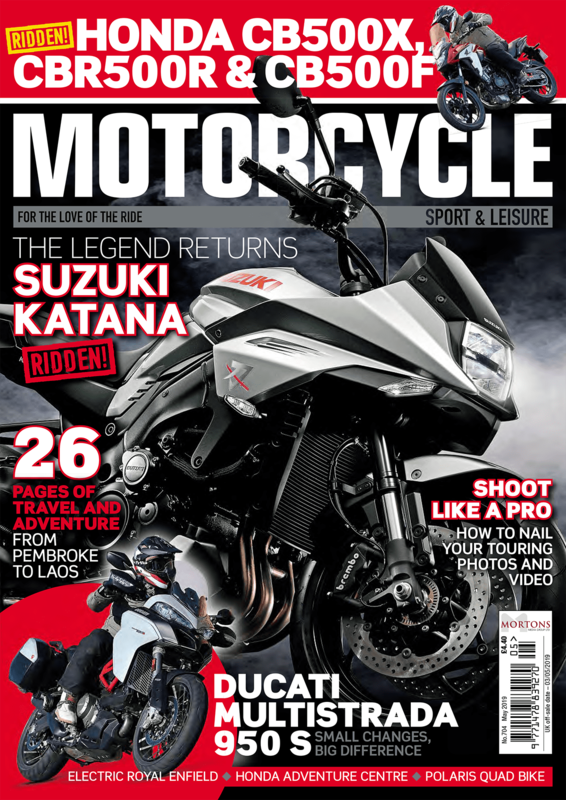 This year TAS, GBMoto, PTR, Tommy Hill and Quay Garage all want them too. Chris Vines has designed radiator guards for a massive range of bikes. 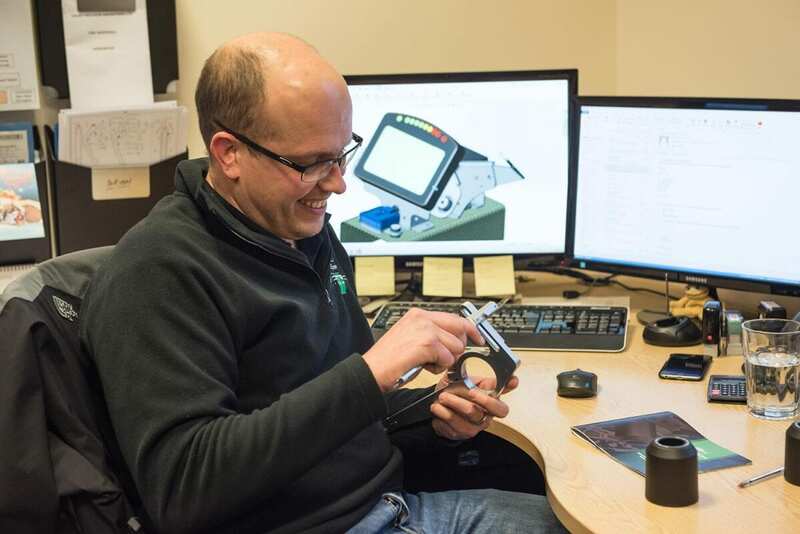 “At the moment, I’m working on an ECU mount designed to allow The Milwaukee BMW team to quickly replace the computer hardware from a new position on the bike’s airbox.” At the same time though, Dan could be working on the planning, design and production of a marine GPS housing or a wind-generator. The guys are clearly passionate about bikes, and it’s where Drury-Precision first started in 1970 when Rob Drury built vintage motorcycle parts in his garage. 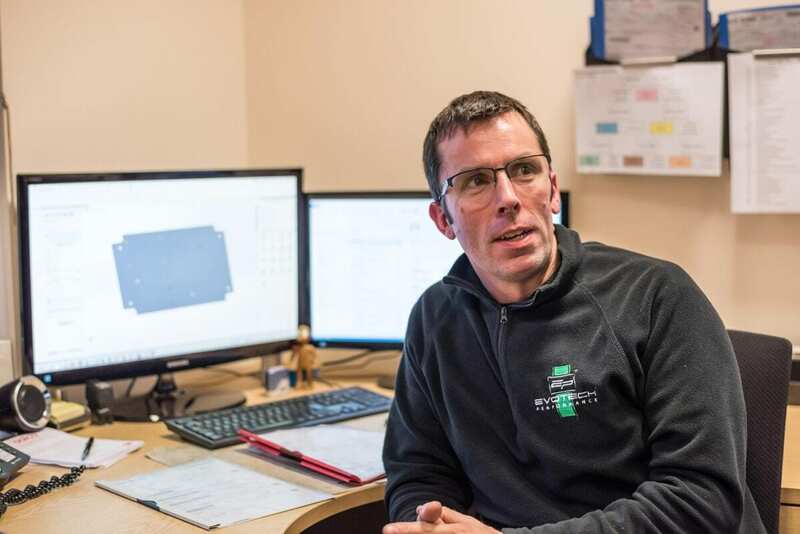 He moved into an industrial unit in the mid eighties, with Dan and Chris working there from leaving school, eventually becoming directors, along with Nick Cooper, who plays a key roll in programming the CNC milling machines. The consumer parts fitted to so many road bikes came later… “I bought a new Fireblade in 2003, and wanted a tail-tidy,” said Chris. “The shop didn’t have any in stock at the time, so one thing led to another, and I ended up making my own in the workshop here at Drury. I sold a few on eBay, but it escalated, to the point where we started making parts for the SV650, and from there Evotech-Performance was born. The two Brother mills can go from cutting at 16,000rpm, stop, change and flush tools, then be up to speed cutting again in just 1.9 seconds. 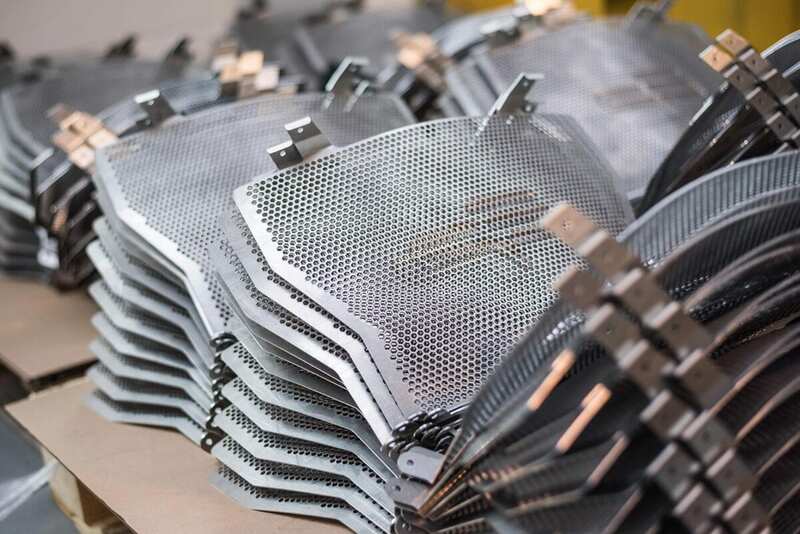 Let’s follow the process of a typical Evotech-Performance part, like an aluminium radiator guard… Every one is precisely stamped out on a huge computer-controlled machine in the workshop, before moving on to the CNC milling machines. Next, the flat sheets are given to the skilled operator of an 80ton folding machine, to add the intricate details needed to fit each bike, as well as single or even double curves for race bikes. Evotech-Performance is keen to keep this technique a secret, but from there the rad guards are passed to the massive parts washer, before being hung on the custom-built rail system that takes them through the large powder-coating booth, then on to the oven. 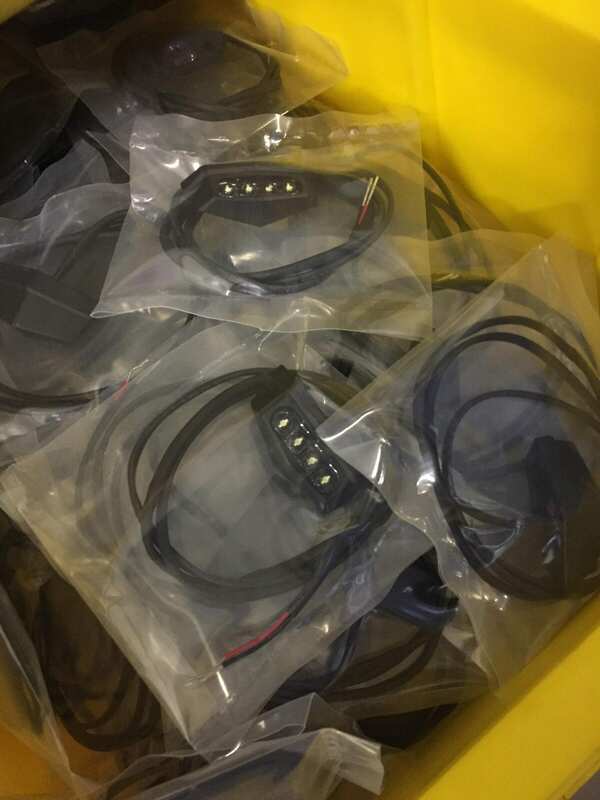 Finally, logos are printed in-house, and they’re packed and stored in a monitored stock system, ready for dispatch. S1000RR rad guards ready for powder coating. 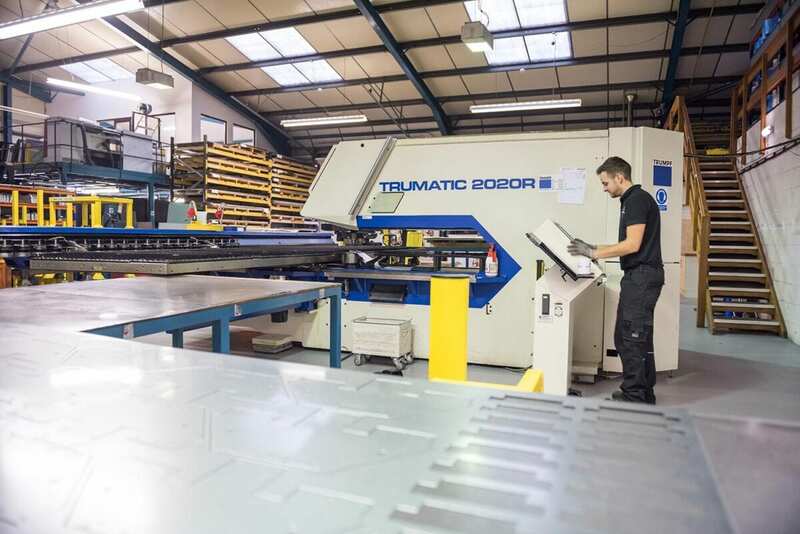 Producing almost everything on-site means the company can react quickly if a new bike is released, or even if, in the case of some manufacturers, certain details of a machine inexplicably change half way through its model year. This has happened with a Triumph recently – a customer called to say that their rad guard wouldn’t fit (calls like this are very rare; check the website’s ‘Trusted Shops’ rating), but as the biker was able to talk to Chris, the designer of the product, it soon became clear that the motorcycle had changed, so production was immediately modified. The Alford industrial unit is by no means small, but still I thought the levels of efficiency and logistical control were more akin to what I’d expect to see in Honda’s Japanese factory; “Efficiency is there for everyone,” said Dan. “You don’t have to be a massive multinational. It’s a mindset, and the sooner you do it, the sooner you reap the benefits. 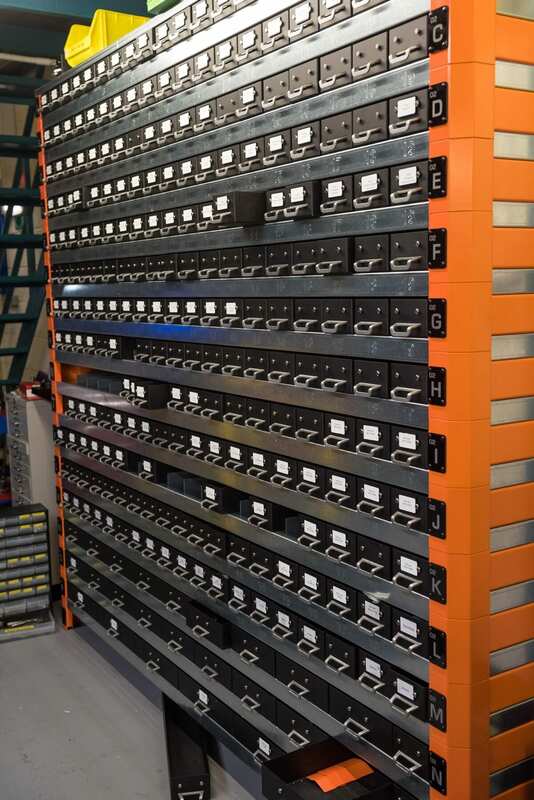 The immaculate Alford workshop is a benchmark of efficiency – this in-house built racking is just a small part of it. Chris wasn’t so sure at first; “It’s good, but I think I prefer the Ducati Scrambler – this is a bit busier”. He was clearly won over though – shortly after my visit, Chris told me that Evotech-Performance had bought an XSR to go with its Scrambler for the development of further parts. Evotech-Performance typically develops for five to six new bikes every year. We’ve seen personalisation for years with Harley-Davidson, and many of us have swapped cans and screens on our sports bikes. Adventure bikes offer a whole new opportunity for accessories, but it’s the retro sector that’s seeing a big lift. Manufacturers are making it far easier for us to tweak and modify – it makes financial sense from the point of view of parts sales, but also in that the bikes offering the most user-friendly platforms are the ones most likely to be a big success. As I write this, I have the radiator guard, bar-ends, levers and crash protection ready to fit. Chris is prototyping the tail tidy, which could well be available by the time you read this. The completed XSR700 tail tidy looks stunning, with the first production run selling out almost immediately. 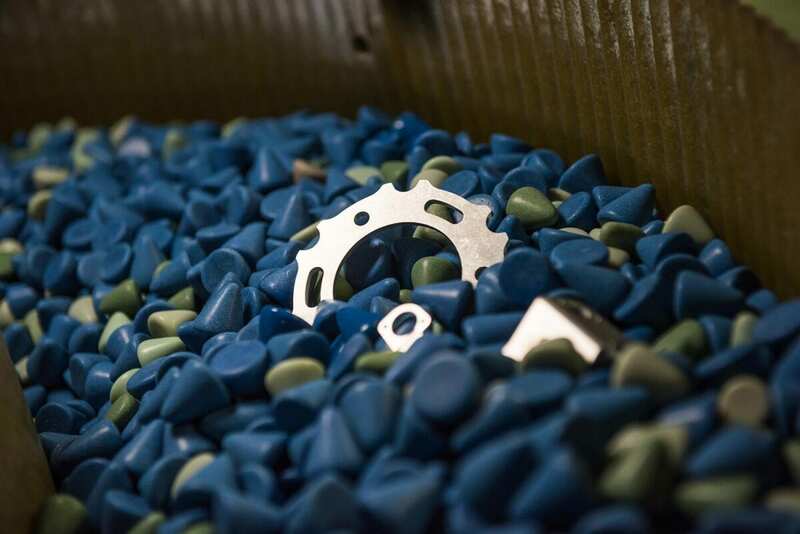 Two vibrating finishers use ceramic and plastic material to de-burr parts, and create a tactile, rounded finish whilst maintaining the crispness of machining. 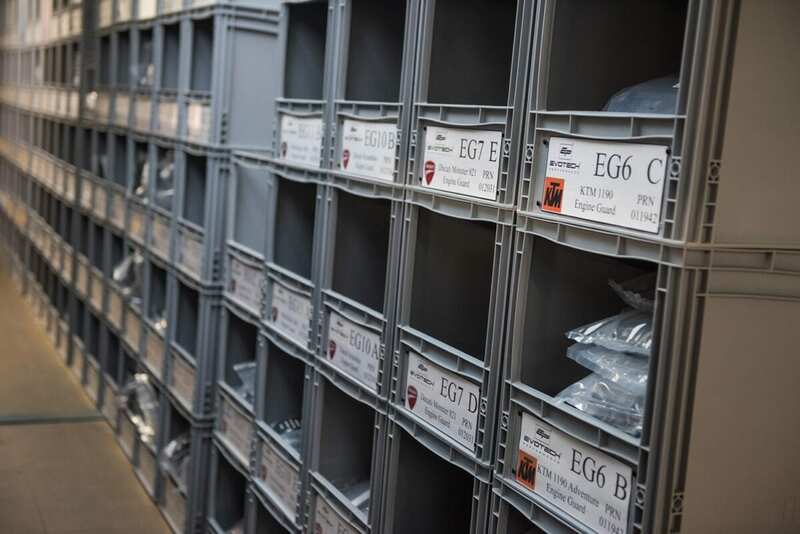 Thousands of parts are kept in stock. Design is as much about making things that look great and work perfectly, as it is about planning the production process to be as efficient as possible. Only by understanding each material is that possible – Dan and Chris have both been producing items from raw stock since the early days of Drury Precision and its hand-crafted sheet metal classic bike parts. 3D modelling and prototyping might have changed the way things are designed, but an intimate knowledge of how a material will react is vital. 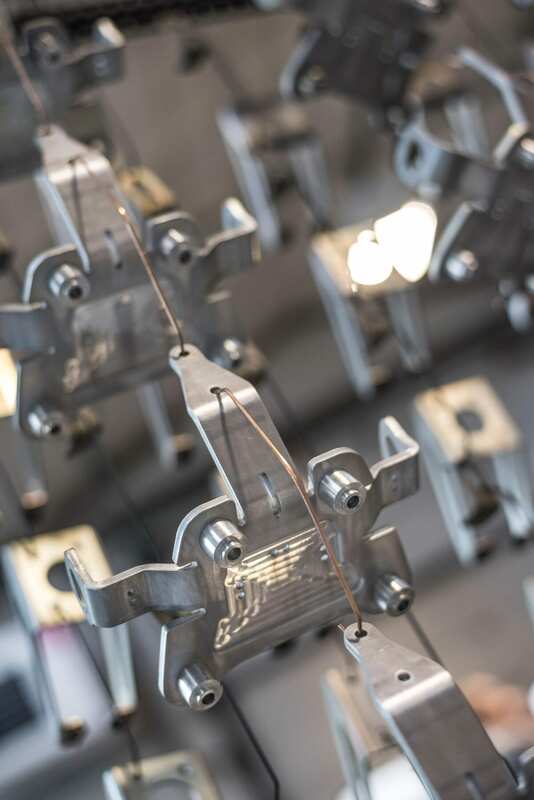 Things get pretty deep here, with values affecting how metals stretch and contract during manufacturing processes, not to mention the difference between ally, steel and the various grades of stainless. Yamaha’s Yard Built project has helped the company to understand the needs of customisers – swapping a headlight is a lot harder if the loom is bundled up inside the back of it. Shortening the subframe is a very popular mod too, but with increasingly tough type-approval legislation on the horizon, making it possible to bolt on custom sections means a machine can easily be returned to standard; “Our mission is basically to produce a bike that can be easily customised by professional people, or in the home garage, but with a strong belief that everything has to be reversible, in case people need to,” Shun Miyazawa, Yamaha Motor Europe’s Product Manager told me. It’s also an opportunity for custom bike builders to create a catalogue of after-market parts. While Yamaha would of course like you to buy its own accessories, the company understands that to really encourage its customers to make an individual bike, it needs outside businesses to support the factory machines. 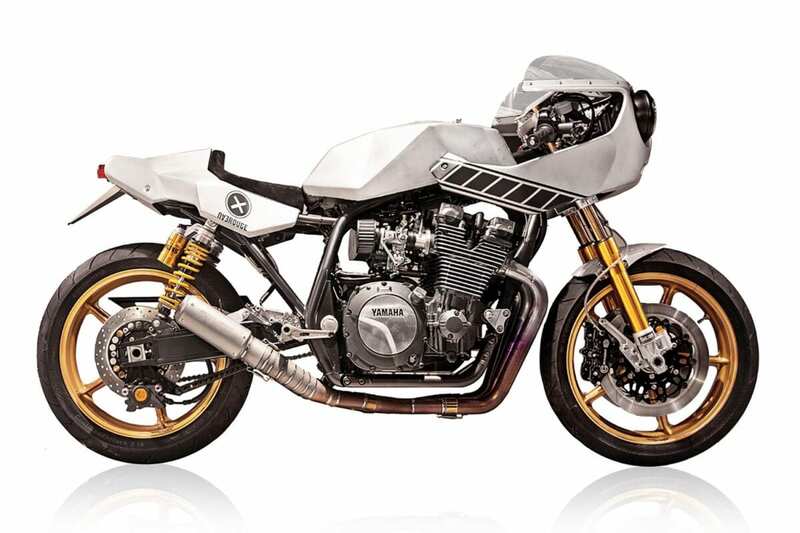 Yard Built can help Yamaha gauge reaction to new product lines too – Eau Rouge (above), Deus Ex Machina Italy’s custom XJR in 2013 effectively ‘softened the blow’ of the XJR1300 Racer, revealed the next year. Cada Día is my chance to build a custom that’s cool, but practical. My deadline is the beginning of June, when I’ll be riding it to the Wheels & Waves custom festival in Biarritz, then the machine will also be on the Yamaha stand at Motorcycle Live in November.